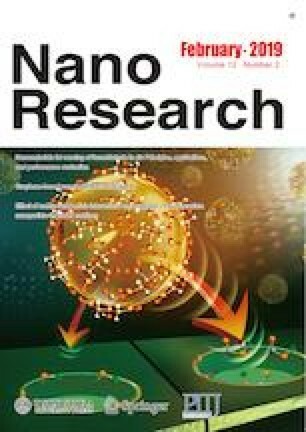 Exploiting the synergy between microstructure, morphology and dimensions by suitable nanomaterial engineering, can effectively upgrade the physical properties and material performances. Li2SnO3 elongated nano- and microstructures in form of belts, wires, rods and branched structures have been fabricated by a vapor-solid method at temperatures ranging from 700 to 900 °C using metallic Sn and Li2CO3 as precursors. The achievement of these new morphologies can face challenging applications for Li2SnO3, not only in the field of energy storage, but also as building blocks in optoelectronic devices. The micro- and nanostructures grown at 700 and 800 °C correspond to monoclinic Li2SnO3, while at 900 °C complex Li2SnO3/SnO2 core-shell microstructures are grown, as confirmed by X-ray diffraction and Raman spectroscopy. Transmission electron microscopy reveals structural disorder related to stacking faults in some of the branched structures, which is associated with the presence of the low-temperature phase of Li2SnO3. The luminescent response of these structures is dominated by intense emissions at 2, 2.5 and 3 eV, almost completely covering the whole range of the visible light spectrum. As a result, white-light emission is obtained without the need of phosphors or complex quantum well heterostructures. 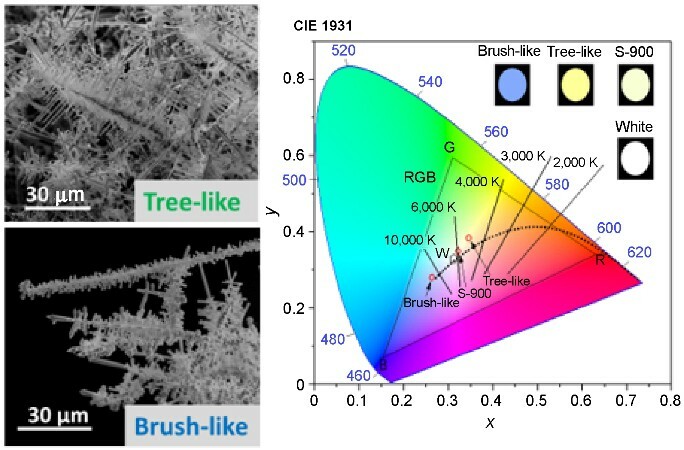 Enhanced functionality in applications such as in light-emitting devices could be exploited based on the high luminescence intensity observed in some of the analysed Li2SnO3 structures. Supplementary material (EDS analysis, and the deconvolutions of the CL and PL spectra) is available in the online version of this article at https://doi.org/10.1007/s12274-018-2236-0. The original version of this article was erroneously initially published with abbreviated author first names. An erratum to this article is available online at https://doi.org/10.1007/s12274-018-2259-6. This work was supported by MINECO/FEDER/M-ERA.Net Cofund (Project MAT 2015-65274R, Project MAT 2016-81720-REDC and PCIN-2017-106). The authors are grateful to the spectromicroscopy beamline staff for useful advice on photoelectron spectroscopy measurements at the Elettra Synchrotron in Trieste. M. G. T. also wants to thank Mr. F. del Prado for his useful help on the analysis of the CL and PL results and Dr. G.C. Vásquez for his help with Vesta software.